Of all Islamic cultures, it is Persia that has received the most attention. 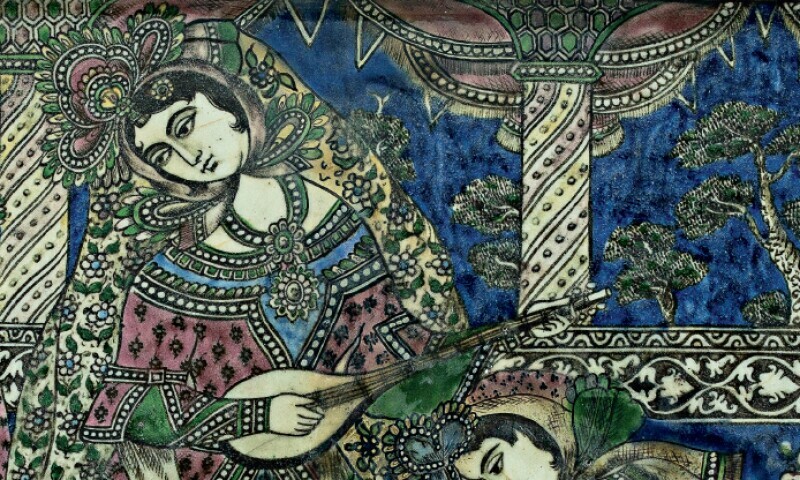 Somewhat neglected by scholarship are ceramics of the Qajar era. The period from the late eighteenth to the early twentieth century was a time of change everywhere; nowhere more so than in this empire that tried to open itself to the world while retaining traditions that go back millennia. The ceramics of the time are the ideal representatives of the experimentation that typified the Qajars.